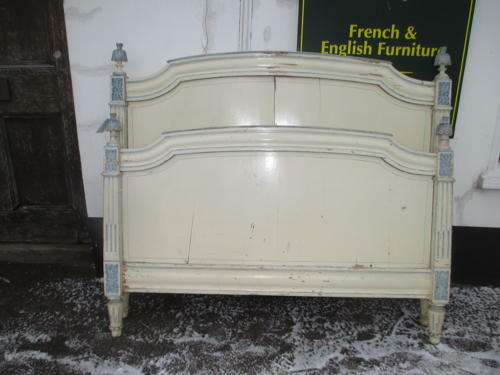 A French 18th Century Louis XV double bed in good original condition with old paint finish, bit of an old split to headboard but considering age a very good bed. Comes complete with original side rails, slats to accommodate a mattress can be supplied if required. This bed will take a standard double mattress.